It seemed like the Trail Blazers might be primed for a bit of a run to start the New Year after going 4-1 over the course of a five-game homestand. But after winning four-straight, Portland suffered back-to-back road losses to the Nuggets and Kings, which didn't completely scuttle the momentum they seemed to be building, but it certainly didn't quiet concerns that they're a team incapable of beating the best teams in the Western Conference, especially on the road. 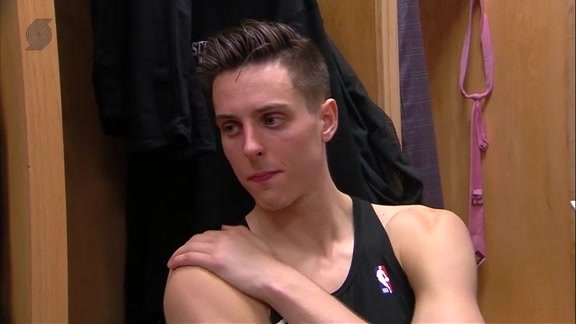 At the end of the day, a win is a win, but getting fat on teams from the Eastern Conference isn't going to impress those skeptical of Portland's viability as a contender in the West after being swept by the Pelicans in the 2018 Playoffs despite being the higher-seeded team. The Trail Blazers have two games at home this week -- one against a Cavaliers team with the worst record in the NBA and the other against the team that unceremoniously bounced Portland from the most recent postseason -- before hitting the road for a three-game trip versus the Thunder, Jazz and Suns. Picking up the home games and then besting at least one of their Northwest Division rivals on the road would go a long way toward changing the conversation about the 2018-19 Trail Blazers, just as failing to do so would only increase the calls for changes. Luckily for the Blazers, all their games aren't in the Western Conference. Portland is a surprising 14-15 in the West, 2-6 in the Northwest division and 12-3 against the Eastern Conference. If only geography could move Portland to the opposite coast. ESPN has the Trail Blazers behind the 76ers at No. 10 and ahead of the Jazz at No. 12. Jusuf Nurkic shot 68 percent over the Blazers' four-game winning streak, averaged 14.9 rebounds per 36 minutes over the four games, and tied a career high with eight assists against Charlotte on Friday. But the Blazers' loss in Denver on Sunday was their fifth straight to Nurkic's old team (after winning the first two post-trade meetings) and featured the Nuggets shooting 18-for-26 in the restricted area. A big part of the Blazers' sixth-ranked defense last season was the league's lowest opponent field goal percentage in the restricted area by a wide margin (55.4 percent). They still rank sixth there this season (60.8 percent), but have seen the biggest increase in how well their opponents have shot near the basket, though Nurkic still ranks as one of the league's better high-volume rim protectors. 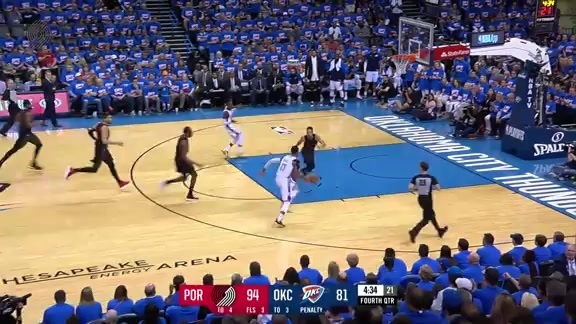 Schuhmann has the Trail Blazers behind the Thunder at No. 8 and ahead of the Celtics at No. 10. The early-season conclusion: They need another star to take the burden off Damian Lillard and CJ McCollum. Until then, this team will be stuck in the pretty-good-but-never-a-serious-contender category. What it looks like now: Pretty much the same, except Jusuf Nurkic has looked like the same player who was so damn good for the Blazers two years ago when they traded for him midseason. He's not a star, but Nurkic playing at this level - 15.2 points, 10.4 rebounds, 2.9 assists and 57.1 percent true shooting, all career highs - nudges the Blazers' ceiling upward. 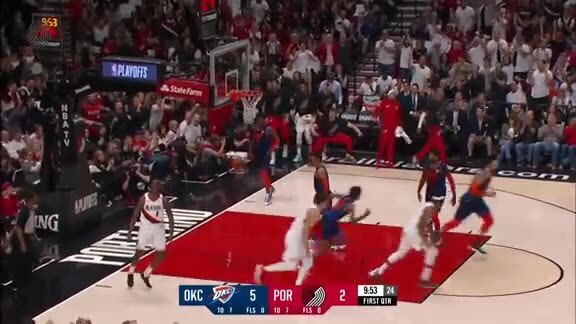 Forgrave has the Trail Blazers behind the Thunder at No. 10 and ahead of the Jazz at No. 12. So, the Blazers trailed the Nuggets at the end of the third quarter on Sunday night. Thus, we could predict with 100 percent certainly that Portland was going to lose that game, right? Incredibly, the Blazers are 26-0 this season when leading after three quarters. And are 0-18 when trailing at the end of the third quarter. Beer has the Trail Blazers behind the 76ers at No. 10 and ahead of the Jazz at No. 12. After making such strides on defense last year, when they ranked sixth in defensive rating at 105.5, the Portland Trail Blazers have taken a significant step backward on that end in 2018-19, ranking 15th in defensive rating at 108.9. Fortunately, their top-10 offense has kept them afloat, and Rip City had even won six of its last seven games before back-to-back losses in Denver and Sacramento where CJ McCollum scored a combined 24 points on 9-of-33 shooting. Bourguet has the Trail Blazers behind the Thunder at No. 7 and ahead of the 76ers at No. 9. Last season, Portland ranked 13th in offensive rating and sixth in defensive rating. This season, the Blazers are back in the top 10 in offense at ninth, but they’ve also fallen to 15th in defensive rating. Last season, their defense worked because they didn’t give up a high percentage of shots going in, and they also managed to crush the defensive boards to end possessions. They still rebound really well to end possessions this season, but preventing shots from going in has slipped quite a bit. The Blazers still win a bunch of games because the backcourt is that good. However, the absence of Ed Davis has certainly been felt on that end of the floor. Harper has the Trail Blazers behind the 76ers at No. 9 and ahead of the Spurs at No. 11. Speaking of the Kings, the Blazers couldn’t go into Sacramento and win. Before that, they came up just short of a road win in Denver. Neither is a damning result by any means but here we are. Rowland has the Trail Blazers behind the Kings at No. 12 and ahead of the Timberwolves at No. 14. Portland was on a four-game winning streak going into Sunday’s matchup with the Nuggets, and one more defensive rebound after Jamal Murray’s late miss might have turned that into a five-game winning streak. For now, the Trail Blazers have to settle for their 1-5 record against the top three seeds in the West. Rollins has the Trail Blazers behind the Pacers at No. 5 and ahead of the Rockets at No. 7.